Alpha Linolenic Acid (ALA) is an essential Omega 3 fatty acid necessary for a wide range of functions in the body's cardiovascular (heart) system, immune system, and endocrine (hormone) system. Deficiency of ALA is rare in adults but can lead to rough and scaly skin. ALAs and Omega 3 fatty acids are thought to be beneficial in protecting against heart disease. In today's modern diet, most people eat a much higher proportion of Omega 6s than Omega 3s, leading some to look for foods with a good Omega 3 to Omega 6 ratio. For this reason, the amount of omega 3s per omega 6 fat is listed for each food. Foods high in ALAs include flaxseed oil, chia seeds, hemp seeds, canola oil, soybean oil, edamame, navy beans, avocados, whole wheat bread, and oatmeal. Since data on all fats is difficult to obtain, there are likely more foods high in ALAs but we are just missing the data. 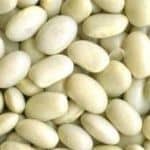 As such, it can also be assumed that most plant sources of omega 3 fats are also high in ALAs. 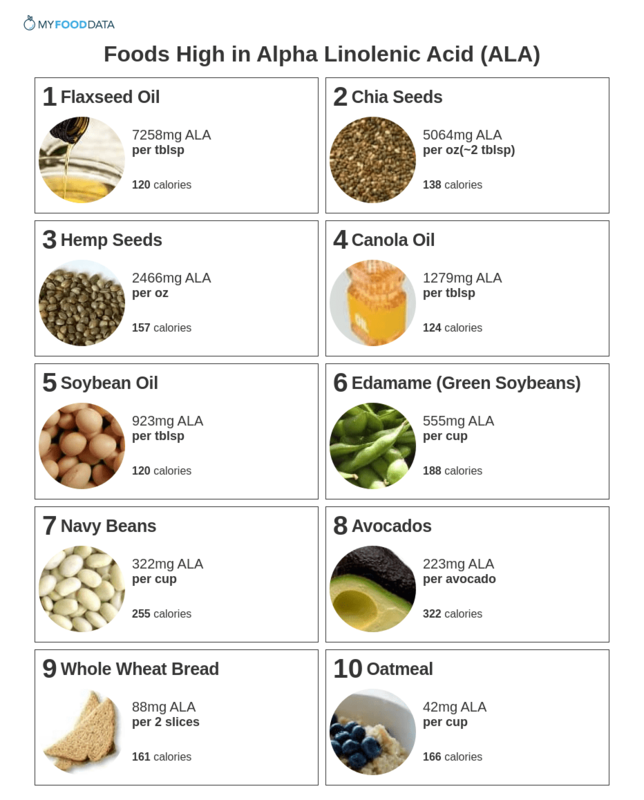 For more foods high in ALAs see the complete ranking of over 200 foods high in ALA fats. 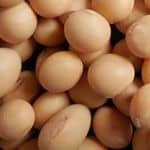 Note: The list of 200+ foods contains many fried foods which are likely fried using soybean or canola oil, and this is why they have a high quantity of ALAs. That said, deep-fried foods are high in calories and not part of a healthy diet. This is why the top 10 list below excludes all fried foods. See all fats and oils high in ALAs. See all nuts and seeds high in ALAs.